SWINDON UK, 14 FEBRUARY 2019: Thanks to a British technology company, Swindon Powertrain, the classic Mini is now available as a fun electric city car. 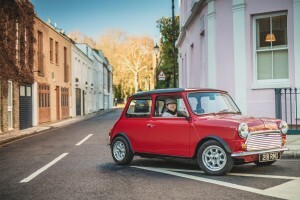 Indistinguishable on the outside from the car that made the 1960s swing (apart from the missing exhaust pipe), the Swind E Classic Mini takes the iconic original and gives it a state-of-the-art electric motor and battery, delivering eco-conscious performance and a return to enjoyable city driving. Available to order immediately, the Swind E Classic Mini promises nippy performance and sensational handling, all packaged in the most stylish way to avoid congestion charge fees. Developed and built in Great Britain using fully restored and original Minis, each taking six months to create, up to 100 will be produced by Swindon Powertrain, an automotive technology firm that has worked on everything from F1 to electric mountain bikes. Prices start at £79,000. With compact dimensions, good all-round visibility and responsive handling, the Mini always made sense as a city car. Now it is cleaner too; the Swind E Classic Mini uses cutting-edge lithium-ion batteries to deliver a zero emissions top speed of 80mph and a range of 125 miles. Acceleration is brisk with 0- 60mph in just 9.2 seconds and regenerative braking ensures the car can hold its own in city traffic. A full charge takes just four hours whilst a fast charge is also possible using the widely available female Type-2 connector. Swind’s E Classic Mini is available in both left and right-hand-drive, with six primary body colours with contrasting roofs available to choose from. The interior gets a makeover with a raft of modern features to ensure it can be used all year round. Highlights include USB charging ports, heated leather seats and windscreen, and cosy underfloor heating. Custom-build options include infotainment and sat-nav systems, power steering, a full-length sliding fabric roof, air conditioning and bespoke colours and wheels. 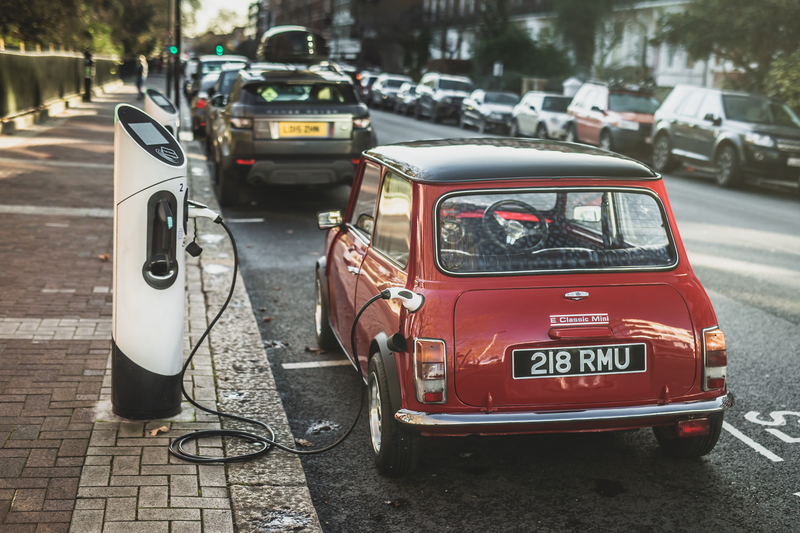 This highly-advanced Swind E Classic Mini is the brainchild of Swindon Powertrain’s managing director Raphael Caillé, who saw an opportunity to produce an electric car with a soul that people from all walks of life would instantly fall instantly in love with. “This is the first time an electrified Mini has entered production,” confirms Caillé. “There have been one-offs and prototypes before, but Swind is the first company to launch such a car to the public. The classic Mini has such a special place in people’s hearts, not only in the UK but around the world. The packaging of Sir Alec Issigonis’ 1959 design was truly ground-breaking and now we are making it relevant again. Its compact size and good visibility together with contemporary performance and handling, makes it a car you’ll want to drive in the city and puts a smile on your face.